On Day Four of our ZUK Advent Calendar, please meet the utterly gorgeous Teddy! Teddy was born on 7th December 2017 weighing a healthy 8lbs 6oz. My pregnancy and labour was pretty much text book; My husband and I practiced hypnobirthing so it was a very zen pool birth. By the time Teddy was 12 hours old he was in the neonatal unit unable to maintain his temperature, blood saturations and blood sugar, along with having a high respiratory rate. Lumbar puncture results showed he had an infection, but we never got to the bottom of where or what it was, so after 5 days of iv antibiotics and a failed newborn hearing screen we were discharged from hospital and on our way home. Fast forward a few months, Teddy was stacking up a good list of different things which his puzzled paediatrician described as ‘unique’! Permanent hearing loss, development delay, low muscle tone, large fontanel, singular palmar crease, poor feeder and visual issues (which are still under investigation). 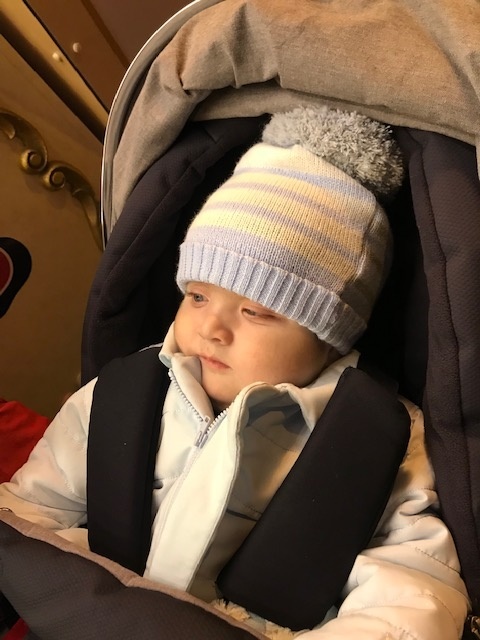 In July he was admitted to hospital for what turned into a 10 week stint; we found out that Teddy had an enlarged liver and spleen and an adrenal insufficiency. After a shed load of blood and urine tests we got Teddys diagnosis of a peroxisomal disorder. Thrown in for good measure and as far as we know totally unrelated, he was also diagnosed with Congenital Hyperinsulinism which means he needs feeding on a regular basis whether he is hungry or not- which resulted in a further nose dive with the feeding and a PEG tube for back up. Since leaving hospital and managing some of Teddys symptoms he is like a different baby! He is much happier and as you can see from the video he loves the water (often in tears at the end of bath times!) He is so tactile which is great for me because he loves lots of snuggles and kisses! We haven’t been given a prognosis, but we plan to make the most of the time we have with Teddy and while he is a happy chappy it keeps our spirits high.